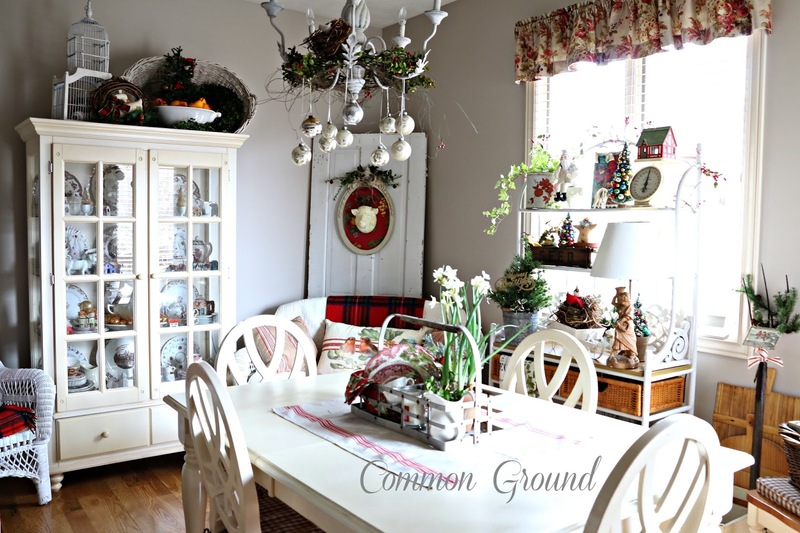 I had a lot of fun decorating the kitchen and adjoining sitting and kitchen dining area this year. 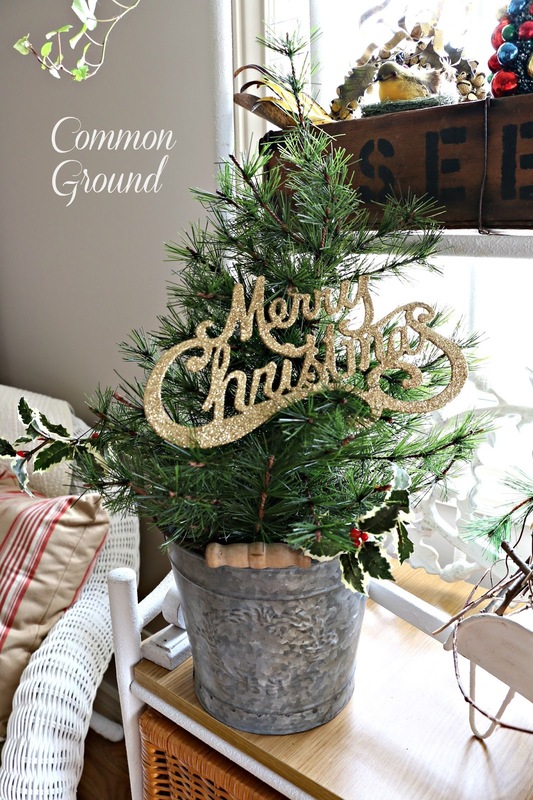 I still have Christmas decor I haven't located, so I tried to make use of the things that I could find. 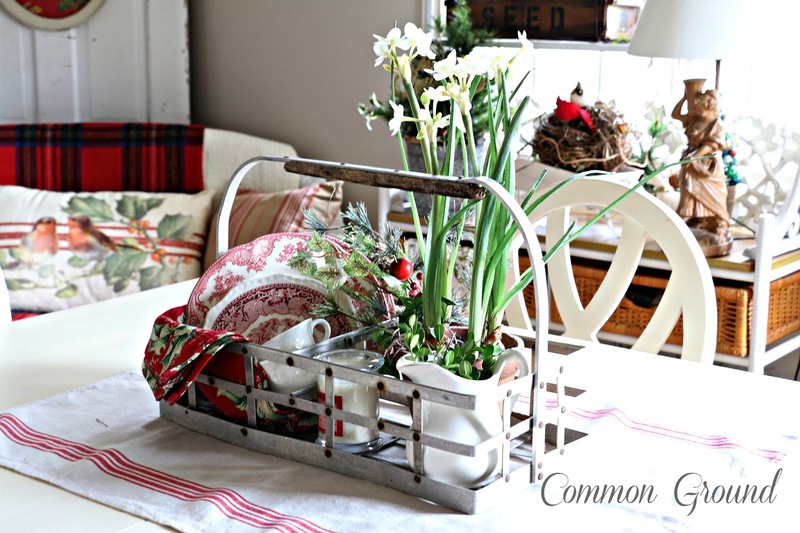 I brought out one of my old milk carriers to hold a Christmas Kitchen table centerpiece. I'm a sucker for any kind of carrier, tote, basket, especially when they're filled with seasonal kitchen goodies. So I grabbed some red transferware, a red Holly tea towel, a candle, a tiny ironstone pitcher with boxwood, and a faux paperwhite... instant centerpiece! I needed to get the "feel" of what Christmas could be like in here. Having just moved a little over two months ago, I'm still trying to decide how to decorate this space. I added one of my kitchen valences to the window for a little color, and so RED and some PLAID seemed the way to go. I still don't have prints up or any wall decor. I have a ton of boxes labeld "prints" and "mirrors", so I need to wait to get them all unpacked before I start hanging things up. I don't think I've lived with bare walls this long, ever. 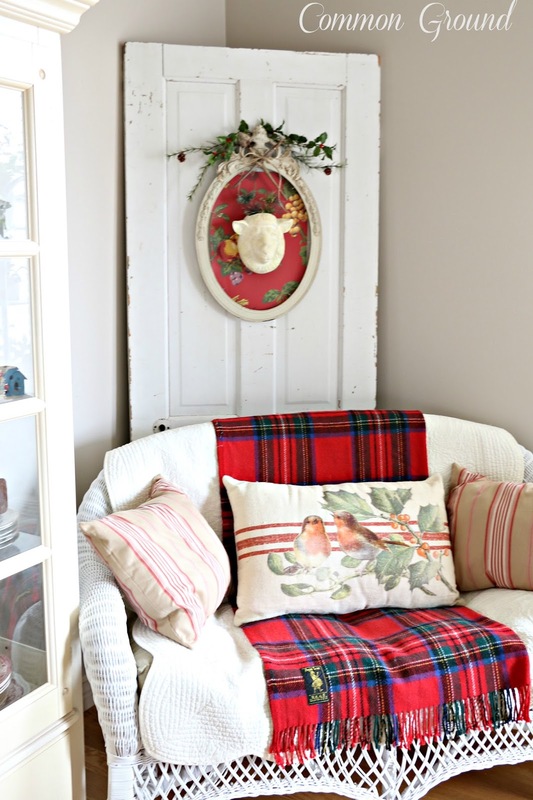 My Toile pillow, some Tartan wool throws, French ticking pillows, and a PB pillow dress up the white wicker and add to the Christmas color. My Sheep Head and my French Country frame are on The Chippy Old Door in the corner. I wanted to add some color in, so I choose a French Country fruit wallpaper design to use as a backing. 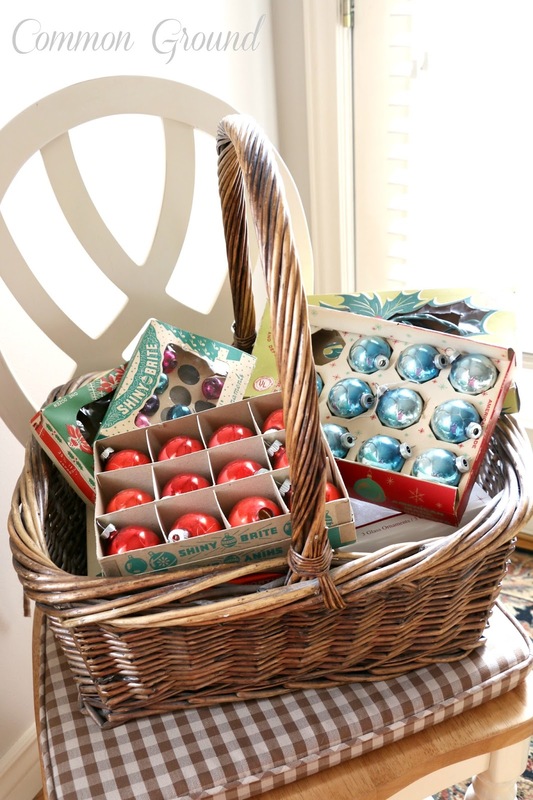 It adds just the right amount of Christmas reds and greens. Click HERE to see what I did last Spring and HERE, this Summer with these two. Let's just say the bird's nest was found on the floor a few days ago. 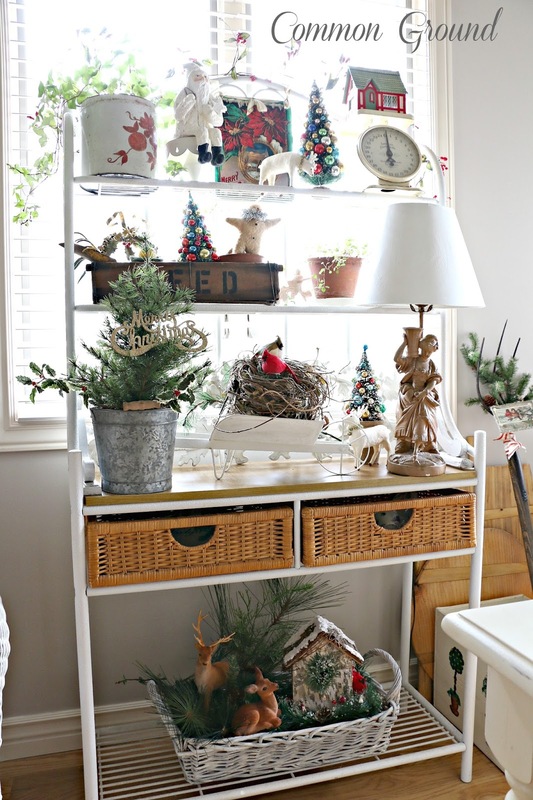 Even the vintage pitchfork got a little "Christmas"! 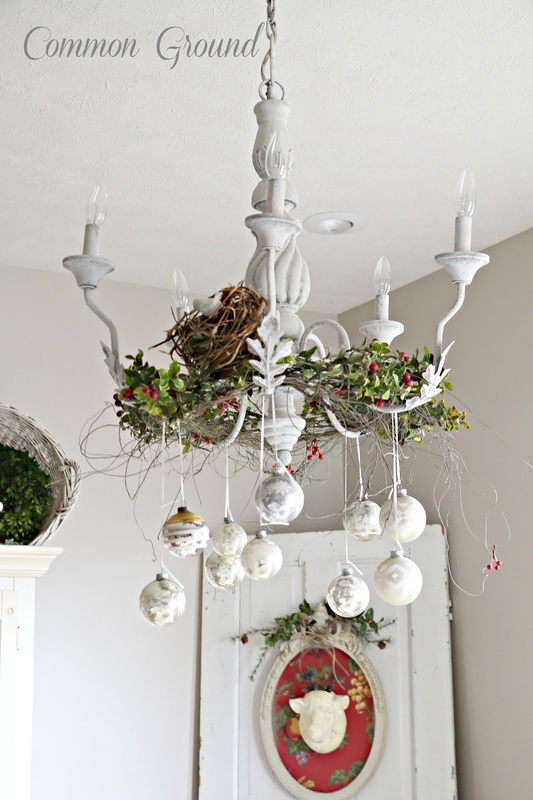 I added a Christmas Home Tour of this year and the Christmas Home Tour from 2013 links to the "Pages" section under my new Christmas Header. See what was going on last year if you have a minute. Those pics are a sweet memory, but I'm glad to be here, at our new home. Just wish I could find my spatterware coffeepot and Santa Mug! Hubbs and I have a grocery shopping marathon to attend. 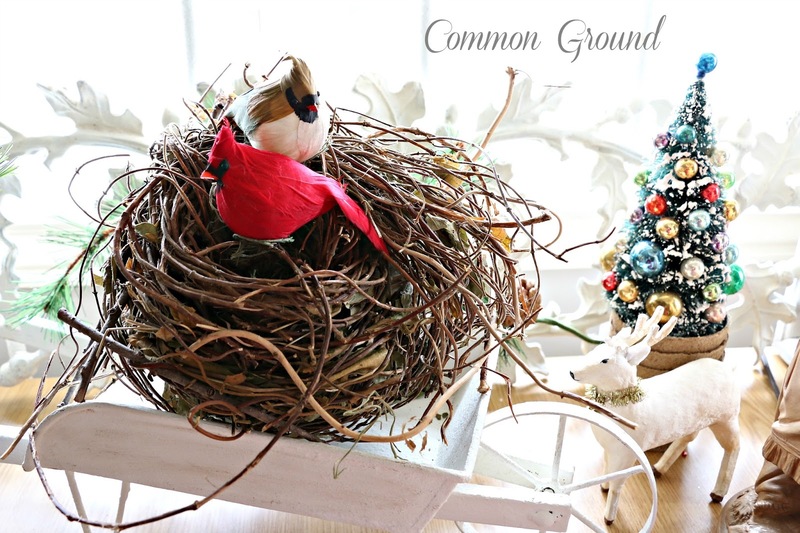 So, so pretty, I love the warm and beautiful Christmas decorating you have done in your beautiful home. Debra, it all looks so good. I love the reds and plaids. 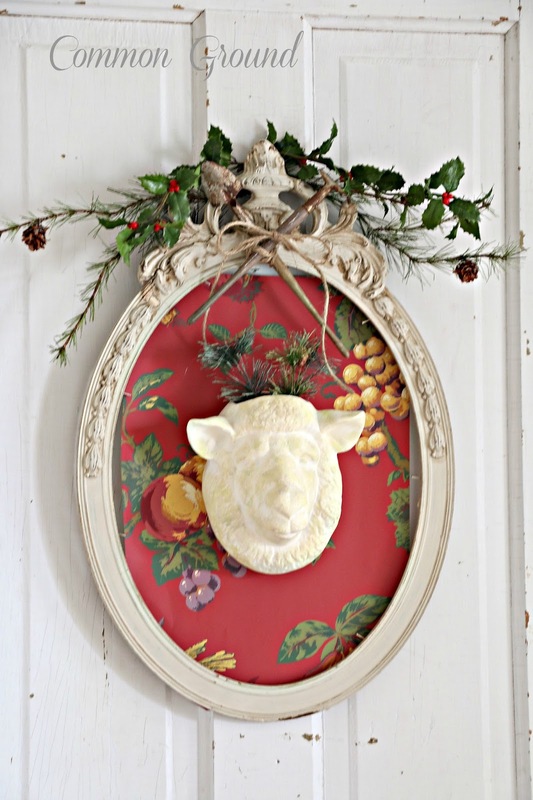 The sheep head in the frame with the fabric is too cute. Oh, I wouldn't go out this weekend if someone paid me a thousand dollars! 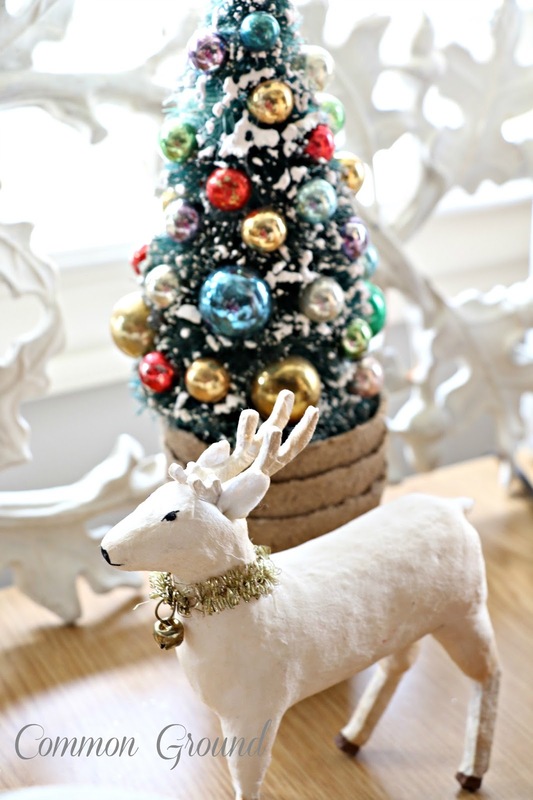 You always have the cutest holiday decor. Oddly enough, I ordered a similar carrier as in your first pic just this morning, only to get an email awhile ago telling me they didn't have anymore. I didn't think eBay did that? Don't they know if they have it when it's listed? 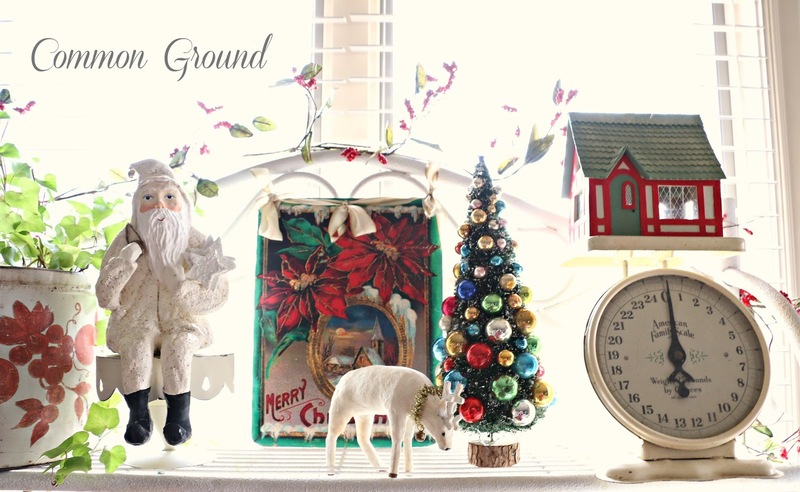 Everything looks so festive, fun, and cheery, Debra! Debra, it all looks festive. Your new home has a cozy feel. 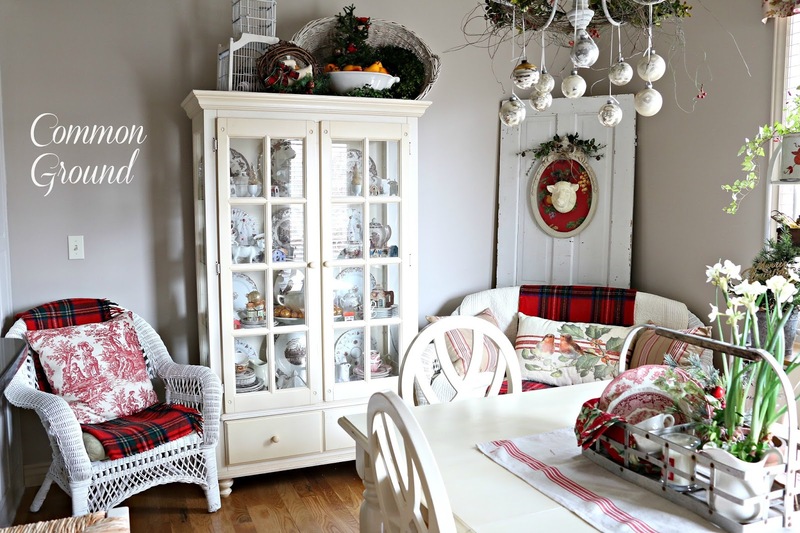 I like all the white with the hardwood floors and the touches of red and tartan. 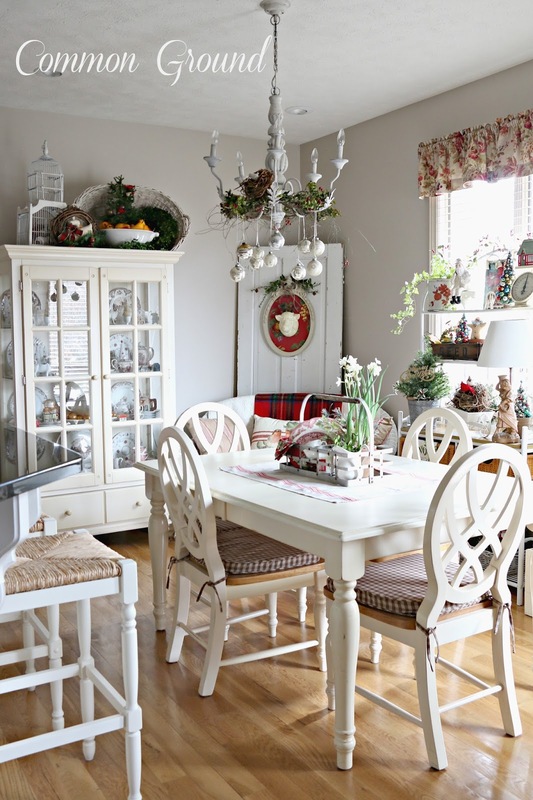 You are making great progress in your new home, Debra, and everything looks lovely and festive! Soooooo sweet Debra. Merry Christmas to you and your wonderful family. Looking forward to our shared friendship in the new year. Enjoy. 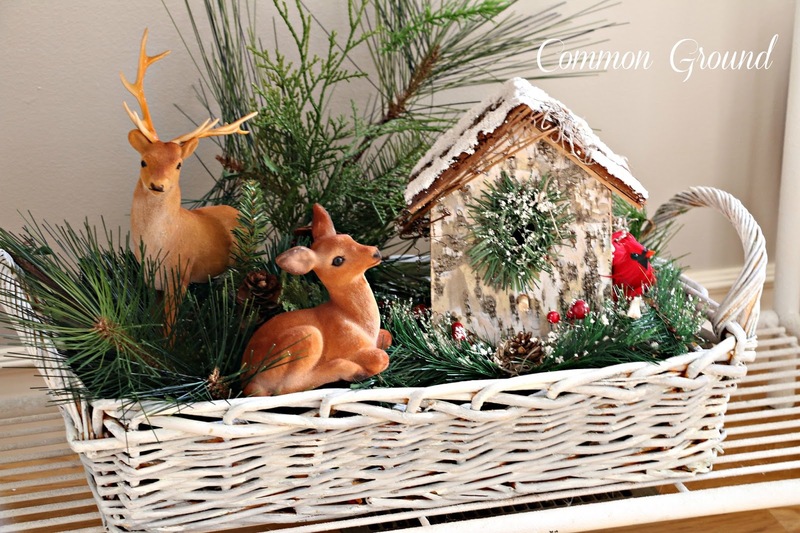 Very festive and cheerful, you have that special touch of bringing warmth and meaning to your decorating!! Debra....everything is just lovely..... I love your bottle brush trees....just a bit different than I have seen before. 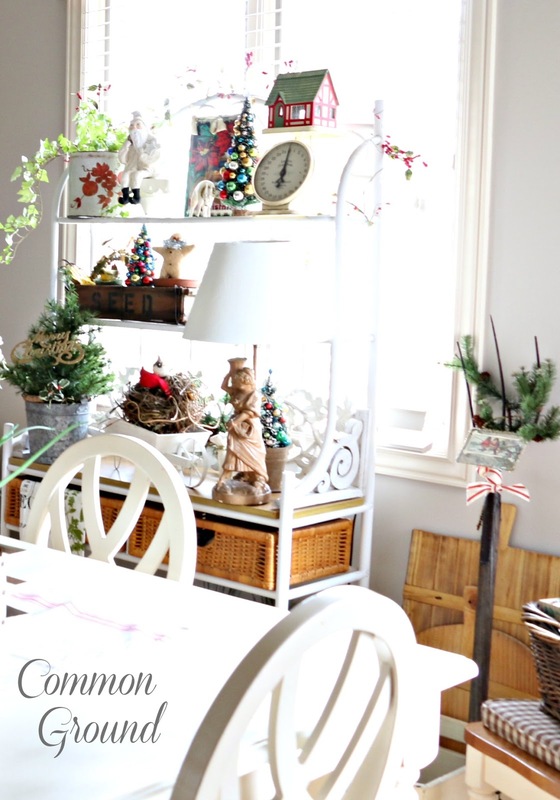 Beautiful and cozy Christmas kitchen...love all the plaid and your centerpiece. Let us celebrate the gift God give us together, the lord Jesus Christ..Merry Christmas and may God bless you real good, best gift I ever received was from God, his only begotten son Jesus Christ, my Saviour and the one who took my sin away. 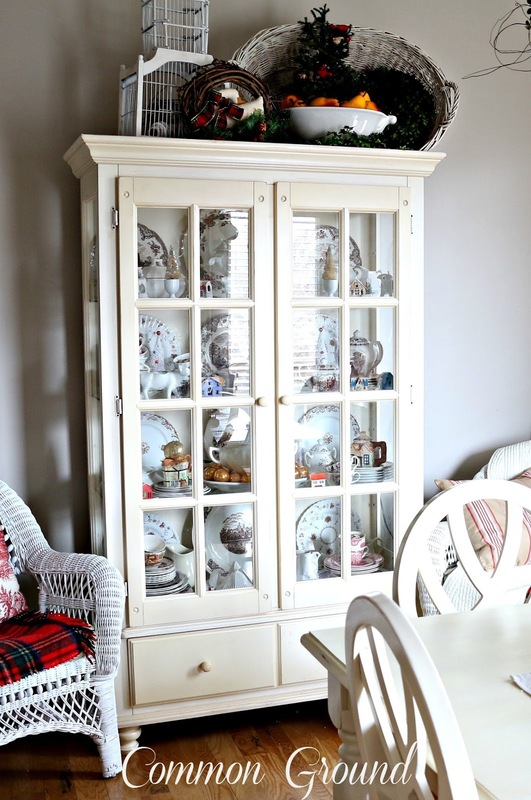 Such a pretty room, Debra! It all looks great and very welcoming. I could spend some time in this room! 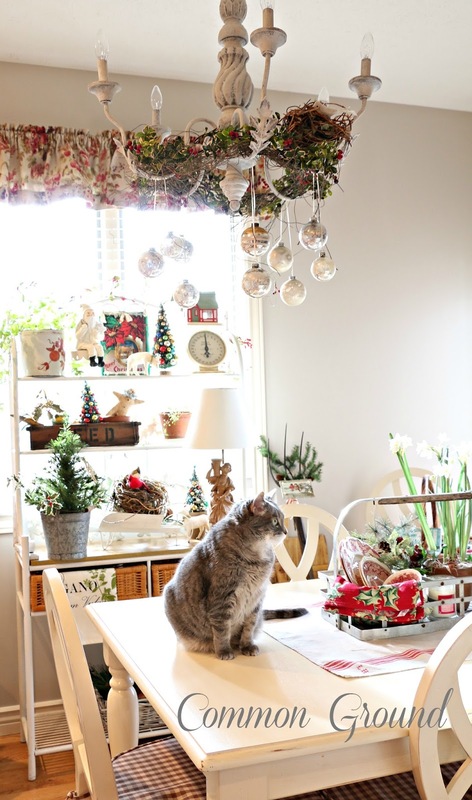 : ) I am sure you will figure out what you want to do in here once Christmas is put away. It can be a bit distracting! It all looks so lovely and cheerful Debra... love that chandie!! I hope you have an amazing Christmas. 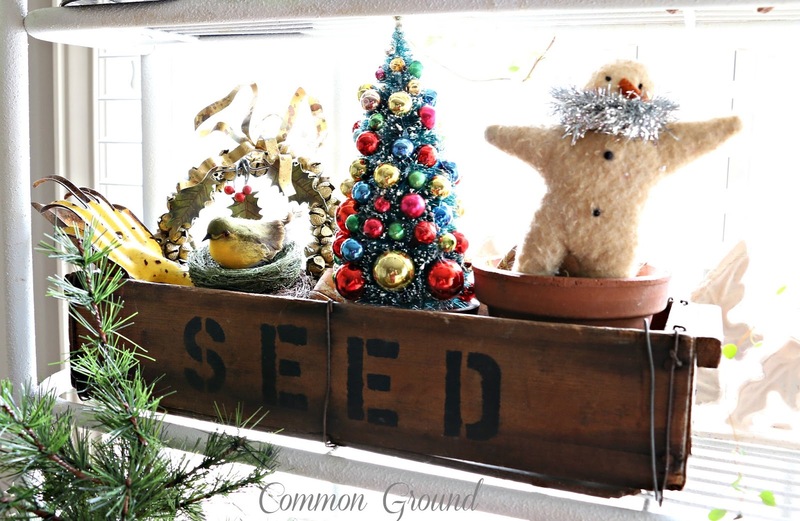 Love the cute vintage displays. 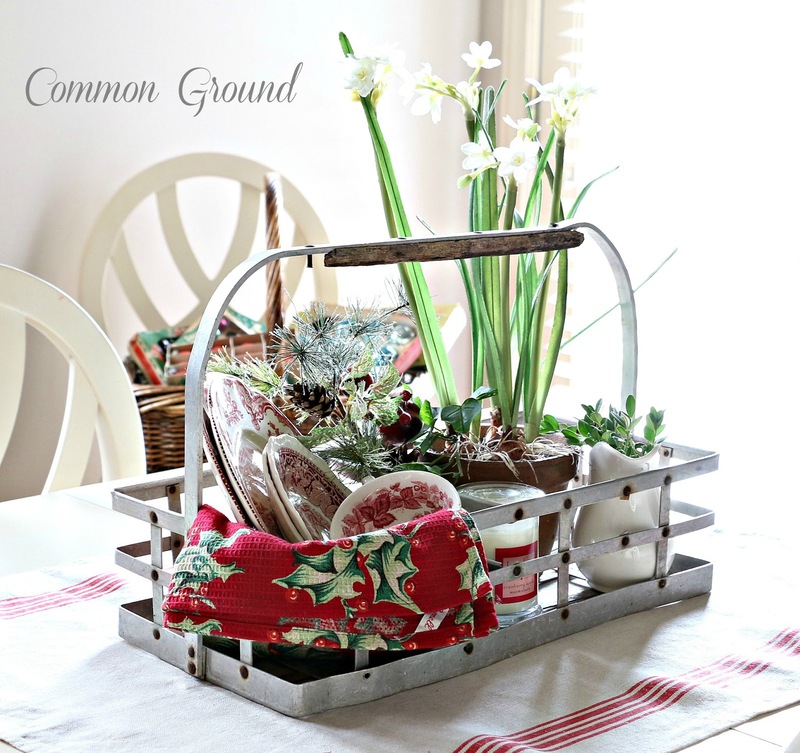 The milk carrier is perfect for your centerpiece!